Messaging apps are all the rage right now, and many of them are incorporating other services such as games and commerce as they inch closer toward becoming platforms. It’s getting more difficult to stand out among the competition, but yet another messaging app has just joined the party. What’s interesting though is that this new messaging app, Chaatz, is a refreshing antithesis of the feature-packed platforms that are trending on the market currently. 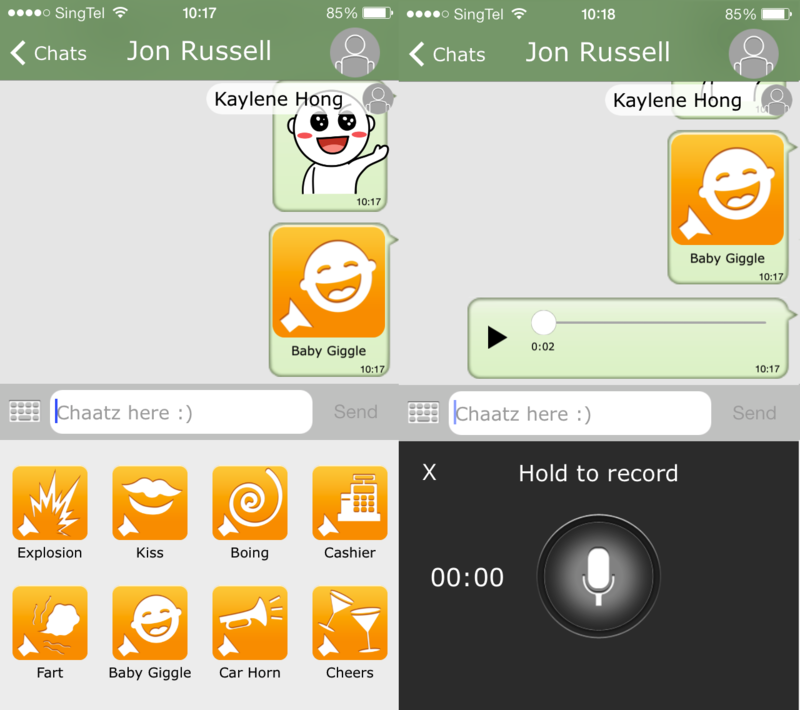 Chaatz does not look impressive at first glance — its interface is simplistic and unattractive looks-wise — and it only has the basic features that form the backbone of chat apps: text messages, voice recordings, only 10 stickers and a handful of voice effects. However, what is unique about Chaatz is the ability to separate your online chat profile into different roles — basically you get what is known as a ‘Chaatz Number’ so you can keep your real phone number entirely anonymous. This means you don’t have to reveal your real number to people including marketing and sales personnel, work acquaintances or those whom you meet on your travels. The initial goal of Chaatz is to “help people organize and control their conversations, in a private manner” — which means you get to avoid accidentally messaging a co-worker with something personal meant for a friend. You can manage your conversations based on your different profiles, and the name of the profile you’ve chosen to use will appear on the top right corner within every chat window so you can ensure you’re messaging someone using the correct profile. You can even choose to connect another phone number on the same app, an extremely useful feature for those who shuttle between places around the world and change their SIM cards and in turn, mobile numbers, frequently. Behind Chaatz is the team that built Facebook’s feature phone app, and those with feature phones are their ultimate target audience — which probably explains why Chaatz looks so simplistic. Due to its lightweight nature, messages sent through Chaatz are extremely fast, as witnessed in our testing — which means it probably doesn’t use much data, a positive proposition for those with feature phones in countries where data is still expensive or slow. In essence, the appeal of Chaatz lies in its simplicity, which is a boon for those who need to contact people in emerging markets who still have feature phones. For example, in the Philippines, feature phones still comprise 89 percent of all phones in the country, which means it’s more difficult to connect with those in the US using a messaging network. This explains why Facebook is so popular among many in the emerging world. A recent report from IDC showed that feature phones still make up a large part of the world. Even after smartphones overtook feature phones for the first time — accounting for 55.1 percent of the 1 billion devices shipped in 2013 — feature phones still accounted for nearly half of all phone shipments last year. Chaatz’s ultimate aim is to connect the 55.1 percent of smartphone owners in the world with the other 44.9 percent who own feature phones — but it faces a seriously huge challenge as it seeks to come up against established apps including Facebook, and we can’t help but be a tad skeptical. First of all, it isn’t a given that there is a huge market of people wanting to connect between the developing and developed world. 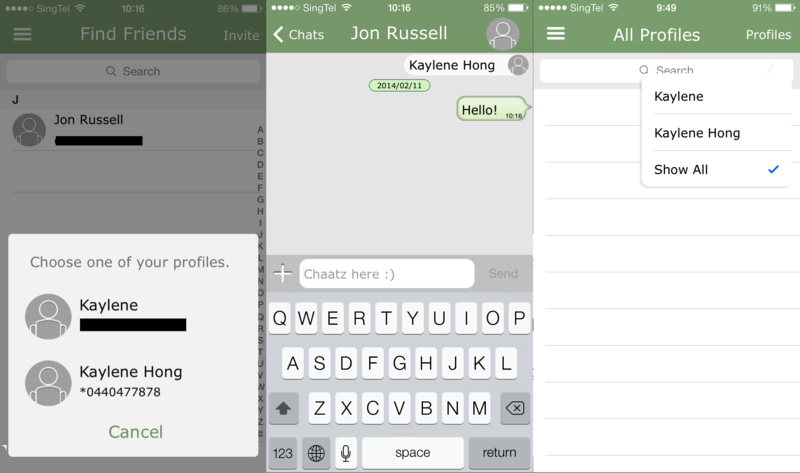 What’s more, the simplicity of the messaging app is a double-edged sword. After all, Chaatz has to appeal to smartphone users before it launches the feature phone app later this year, and we have all seen how users are being wooed by chat apps packed with tons of cutesy stickers and a whole load of other features now. Perhaps the only advantage of Chaatz is that it probably uses so little data that feature phone users would prefer it for chatting, over other content-filled apps such as Facebook. 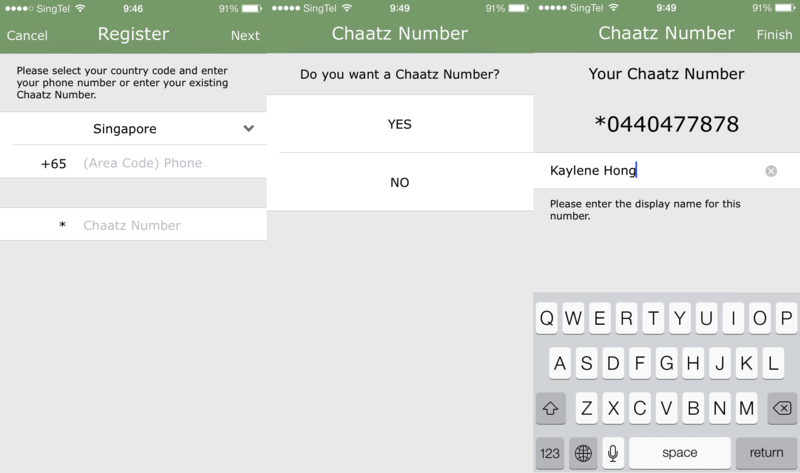 Chaatz is now available for iPhone users, while the Android app will land some time later.